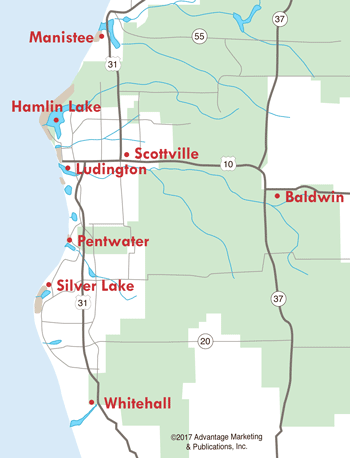 The West Michigan lakeshore communities boast numerous opportunities to learn about the area's rich history and to expand knowledge through activities and exhibits. Ludington will now have a place where residents and visitors alike can step back in the past and learn about Ludington's maritime history. The Port of Ludington Maritime Museum will be housed in the former U.S. Coast Guard Station, now on the National Register of Historic Places. The Ludington Maritime Museum building is in a prime location overlooking the harbor and will become a popular attraction in an already beautiful Lake Michigan city. Groundbreaking began in May of 2015 and the exterior renovations are now nearly complete. The talented exhibit designers are busily engaged in crafting some of the most engaging, captivating, and interactive exhibits imaginable. 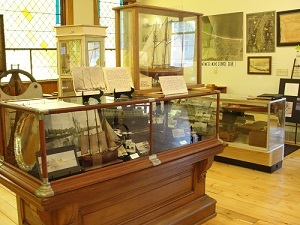 For more information, read our Port of Ludington Maritime Museum story. 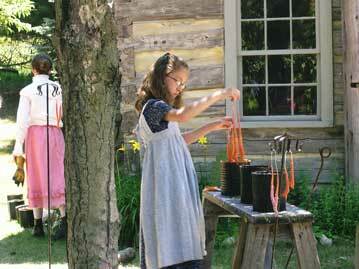 Discover small town Michigan life in the late 1800s and early 1900s at Historic White Pine Village. Set upon 13 beautiful acres overlooking Lake Michigan, you can visit more than 30 museums that depict Mason County's history. Historic White Pine Village opened in 1976 with only 11 buildings, one of which was the first Mason County Courthouse, built in 1849. Many of the buildings are original and were moved to the village. There's something for everyone, as the exhibits encompass many areas of interest, such as maritime, lumbering, government, farm life, early education, business, health and more. Volunteer gardeners lovingly tend the landscape so visitors can enjoy the beautiful scenery. For more information, read our Historic White Pine Village story. 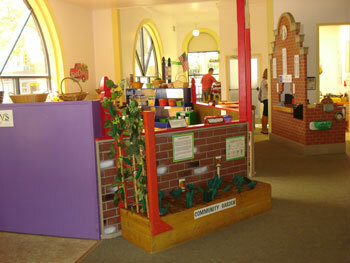 Sandcastles is a hands-on museum with over 40 interactive exhibits to promote learning through play. Exhibits include a real Cessna airplane, Badger playship, grocery store, climbing wall, vetrinary office, hospital nursery, Grandpa’s farm, and more! Party room available. Summer Hours: Monday-Saturday from 9:30am-5pm and Sundays frpm 12-4pm. Winter Hours: Fridays 9:30am–1pm, Saturdays from 9:30am-3pm, and Sundays from 12-4pm. 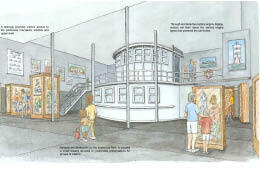 For more information, read our Sandcastles Children's Museum story. The Pentwater Historical Society Museum opened its doors officially on May 31, 2014. Previously the First Baptist church, the museum is already considered a town jewel, not just for its destination aspects, but because of the many exhibits in the Museum. They showcase the memories and events of many of Pentwater's current residents, and the people who grew up in Pentwater. Many of the items were donated by families in the area. The great thing about the Pentwater Historical Society Museum is that it showcases items that residents can connect to...old yearbooks, postcards and photographs from the late 19th and early 20th century, and artifacts from many decades ago, but not so long that people won't recognize or have a connection to those items. There is no cost to get into the History Museum, although donations can always be made. The Museum is open Tuesday through Saturday, 1-4 pm through August, Thursday through Saturday, 1-4 pm September through October, and closed November through the winter months. For more information, read our Pentwater Historical Society Museum story.